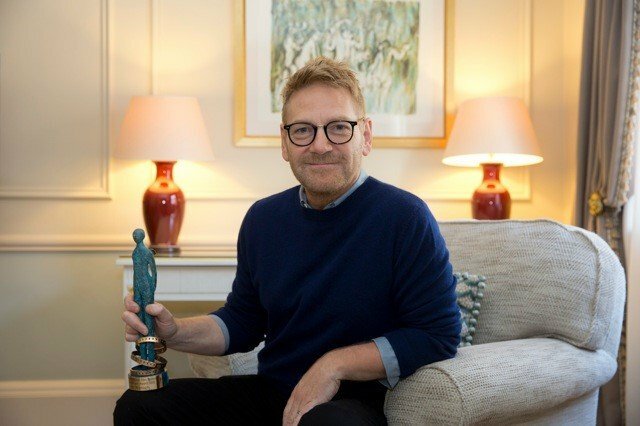 Sir Kenneth Branagh received a Volta Award from the Jameson Dublin International Film Festival at the Irish premiere of Cinderella. The award was designed by gallery artist Bettina Seitz. The Brothers Grimm Fairy tales feature in the artists work as well as she is currently working on a Snow White sculpture commission for the German town Lohr am Main, which is said to be Snow White's possible birthplace. The elegant sculpture will be mounted on an existing park bench and will be life size in white stone composite. Photographs of the sculpture will be posted after the unveiling at the end of June 2015. Click here to view more of Bettina's sculptures.